Your dream - our goal! Explore our cars online to get a feel for what we're offering! Manufacturer: Fuji Heavy Industries Ltd.
2010 Subaru IMPREZA SEDAN 2.5I PREMIUM. NICE LOOKING CAR WITH HEATED SEATS &SUNROOF. TWO OWNER NEW CAR TRADE. CARFAX IS CLEAN. RUNS AND DRIVES LIKE A NEW ONE. Welcome to our E-automall Public auto auction auction. 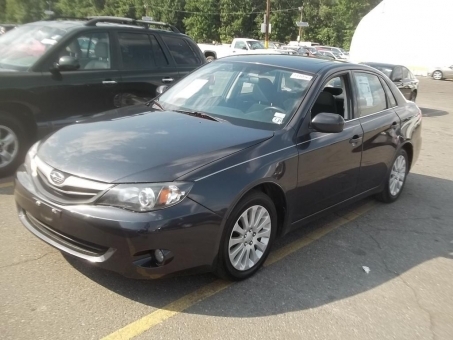 Choose the from our used vehicles the offer that’s right for you. Using e- Automall used car auction you can save time and money by comparing prices from several local auto dealerships in your area. While conveniently shopping online from home, trusted car dealers in Oklahoma, local dealers in Wyoming, trusted car sellers from Pennsylvania, agencies in Montana and other areas will provide you with competitive, instant price quotes and tremendous savings on the new auto or used car, truck, minivan or SUV on your list. Research models by style or make, Volvo cars, Toyota models, Lexus used cars, new Lincoln, Fiat vehicles, cheap used Ford cars, Dodge for sale, Chevrolet cars for sale or Aston Martin used cars sold by our car dealers to find the right vehicle at the right price. Welcome to E-Automall Auto Auction. We are one of the largest used car auction which operates nationwide and ensure our clients the buying and selling process. We have a large selection of pre-owned vehicles for sale. Each of our used cars and crossover SUVs goes through a thorough inspection by our certified Post Sale Inspection service to make sure the cars you are buying is in a good condition.